Have you ever wondered what it would be like to be on a TV commercial, TV show, or a film? 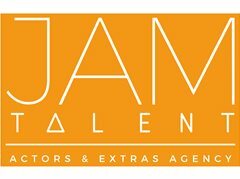 JAM Talent is a successful Talent Agency in Auckland & Wellington that represents a variety of actors, singers, dancers and character talent. *We have an extensive client list, and receive opportunities for all major projects within the TV, film, and media industry. *Beauty is great but you don't necessarily have to be a supermodel - we are looking for REAL people of all ages, shapes, sizes, and ethnicities! *Please send your application via email with a recent photo and some information about yourself. *We take this very seriously, and expect our talent to do the same - an interview is compulsory. We do not accept everyone who applies. *If you aren't prepared to come into our offices for an interview, if invited, then please do not apply. Some fees may apply for successful talent to set up professional portfolio/necessary industry tools.